While all the drama was taking place at home with the whole Valentina thing. 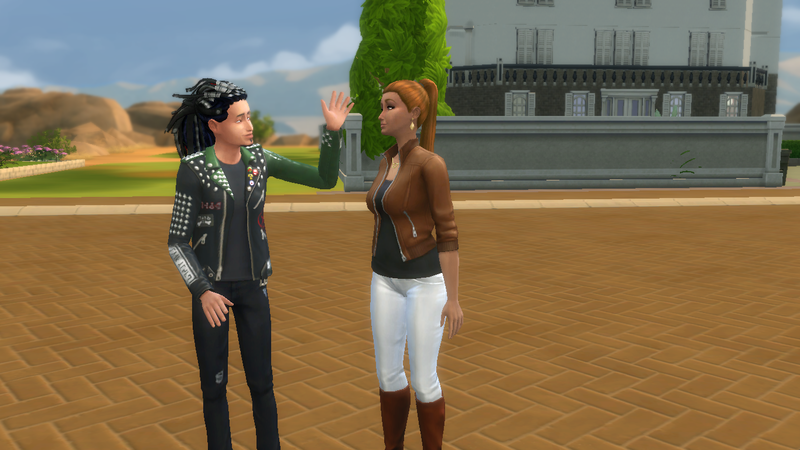 Milano had actually met someone too. Her name was Layuh her family had just moved in across the street. 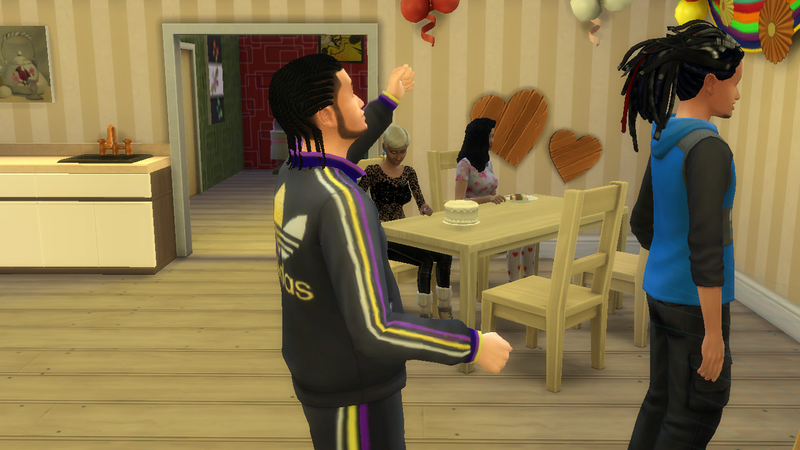 Milano had bumped into Gi’ani who had introduced him to her Daughter Layuh they hit it off immediately. 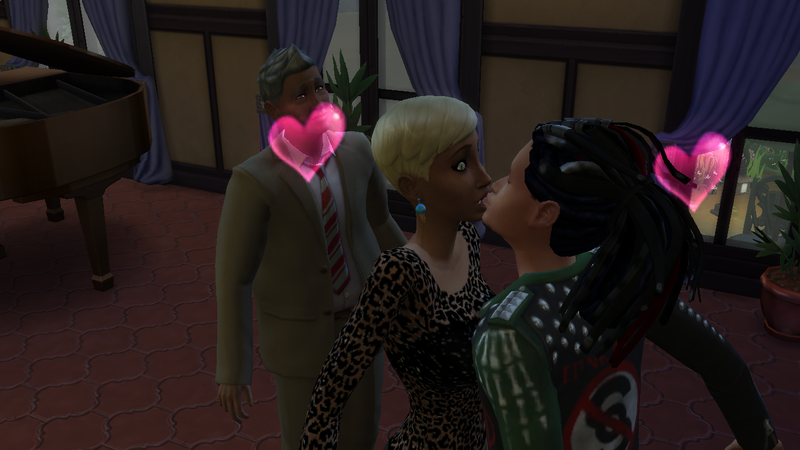 He was in love and they Woohoo’d whenever they were alone they couldn’t keep their hands off each other. 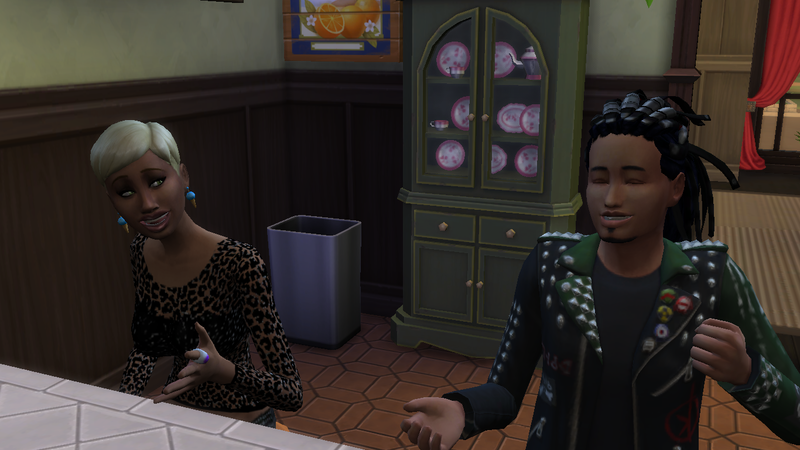 Milano wanted his family to meet her he knew they would love her as much as he did but he didn’t want to bring her into the mess at home so waited until things settled down. 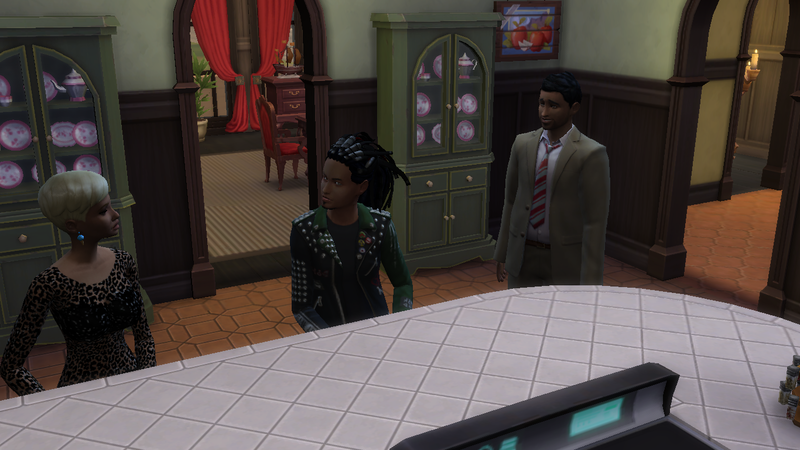 Layuh was away with her family but as Morello and his family had moved out he wanted his parents to meet the love of his life as soon as possible. He called Layuh and told her to stop by as soon as she returned home from her trip. He was so happy to see her when she arrived he hadn’t noticed that her appearance had changed ever so slightly. Angela picked up on it straight away and quietly suggested to Layuh that she may need to get a test. “No way Mrs Vogel. It’s just a stomach bug. Besides Me and Milano are always super careful” she told Angela. Angela giggled “Believe me sweetie the only time’s I’d been so nauseous I ran straight to the bathroom to throw up after smelling food was when I was pregnant with my 4 babies. I think I know pregnancy symptoms when I see em” she smiled at Layuh. “and I refuse to believe that belly is the result of bad food”. Layuh rubbed her growing stomach. As tears ran down her cheeks. ” I can’t be” her voice so low Angela strained to hear her. ” I hate children. I don’t want to be a mum”. Layuh made her excuses and went home. A few day’s later Milano called his girlfriend. ” My family love you, I love you. will you move in with me” he asked her. “I wanna say yes but I think you should hear my news first I’ll be right over” Layuh answered as she dropped the receiver and rushed across the street. “I’m Pregnant” she Announced “I…How…we were always so careful… You know what, I’m really happy.. How do you feel babe? Milano asked. I…well…I don’t know. I never wanted kids but now I’m not sure. I just don’t know. Layuh answered. Milano gave her a reassuring hug and said “Babe we’ll work it out together. I love you”. 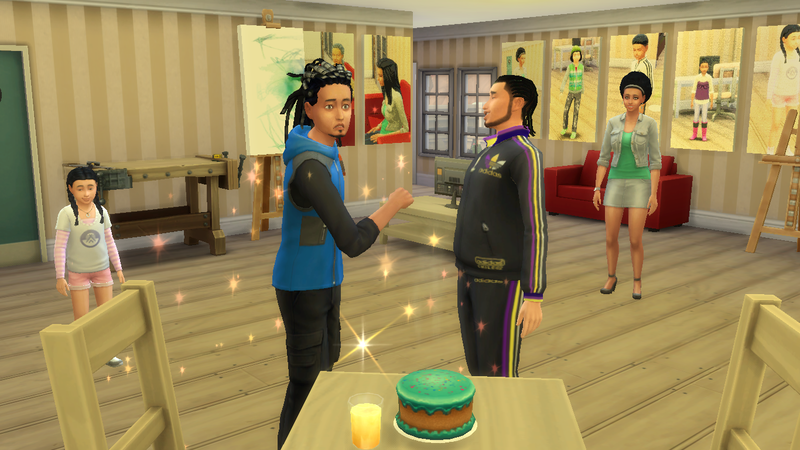 I had no idea you could get Sims pregnant just by using the Woohoo interaction. 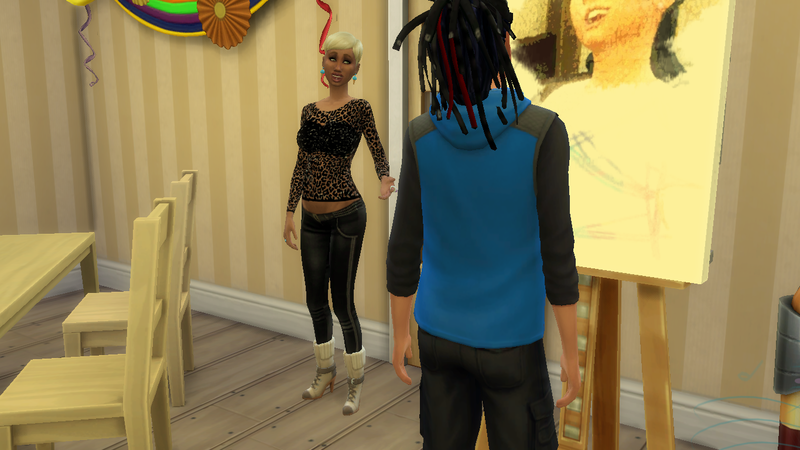 As she wasn’t in my household I was really surprised to find her at the door ,Pregnant and with the hates children trait. 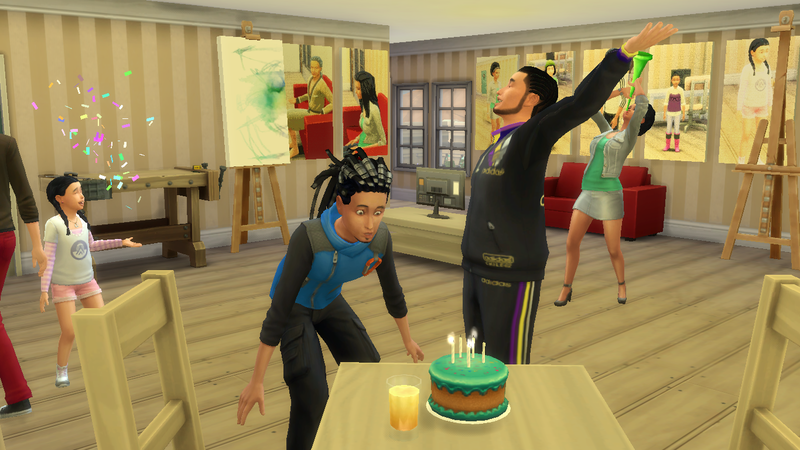 Layuh and her family(The Fuentes/Cross family) were created and borrowed from SimsLegendSontia they can be found in the gallery they contain CC so be sure to check the relevant box.